SugarPea Designs has a challenge blog and so I played along with their current sketch. It's a nice simple sketch with fun shapes! I have 2 other SugarPea sets but I knew that I wanted to make the moose work for this sketch somehow, and it was actually quite easy (I thought he might be too big). My card base is Chocolate Chip from SU and then my decorative papers are from Lawn Fawn's Snow Day collection. Love these papers and colors! I changed up the tag shape a bit, as I'm not very fond of tags and don't have any dies or punches in that shape. I just cut a square panel and rounded the corners. I colored in the moose and then fussy cut him and adhered him to the white panel. I then stamped the sentiment to the left of him. In place of the heart element on the sketch I scattered some sequins from Pretty Pink Posh in 2 corners. The white panel is popped up with dimensionals and I sponged the edges of the circle and red banner to get a bit more contrast between layers. Head over to the SugarPea blog to check out the sketch, and then go check out their super cute products! Yeah! I hoped you would get this stamp set! It is perfect for you. Love what you did with the set and the sketch! SO cute, Lisa! This is SO adorable, Lisa!! 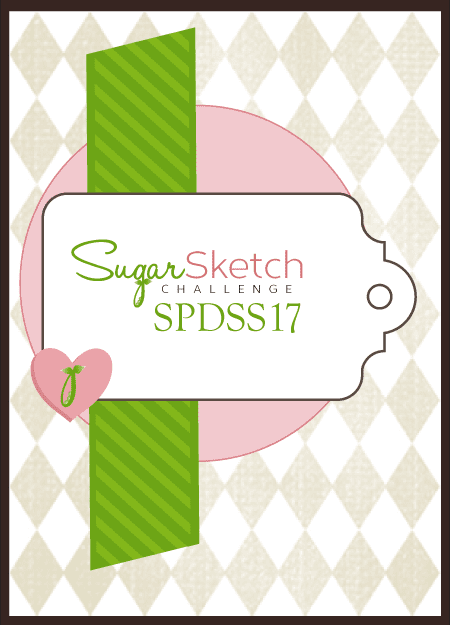 :) Thanks for joining us for our SugarSketch Challenge! He's such a cute moose! We just saw a real one in a field nearby not too long ago! This card must have made the moose happy Laurie because I ended up seeing 2 the other day. Thankfully I do see moose pretty regularly! 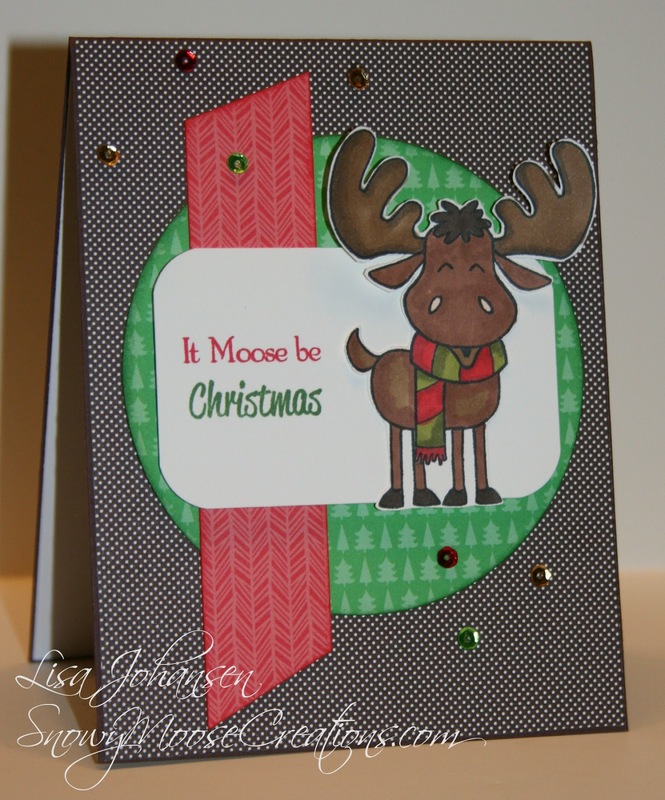 I love what you did with the sketch and the stamp set, Lisa! The black dotted paper behind your Christmas colors makes them stand out! Good luck with the challenge and thanks for playing along with the SugarPea Sketch Challenge.